We only stock and sell kitchen and bathroom products made from superior materials, best in quality and design. We also provide everything you need in bathroom accessories when renovating your bathrooms. As always, we endeavor to offer our customers the best price in the market. Browse through our galleries of kitchen and bathroom appliances, accessories and necessities below. Contact us today for more information or a free online quote. We provide a range of high quality, stainless steel kitchen sinks with quality plugs in a variety of different shapes and sizes. We use Daniela Appliances, a quality range of cooktops, rangehoods, ovens, freestanding cookers, and dishwashers, at unbeatable prices. Our quality kitchen and bathroom tapware come in a range of styles and offer great water saving technology. Quality bathroom accessories, to add the perfect finishing touches to your bathroom renovation. Bathroom vanities, sinks, and other bathroom storage solitions for any bathroom size or style. 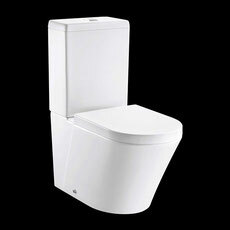 We provide a range of toilets, with the best water saving technology and streamlined style for your bathroom. Stylish and functional, our range of shower screens will be a feature or your bathroom, whilst keeping the water where it belongs. We provide laundry tubs in a range of shapes and sizes, to suit any sized family. Our quality tubs are built to last. We also provide a range of quality flat pack kitchens for self-assembly, that can be delivered within the Sydney metro area.